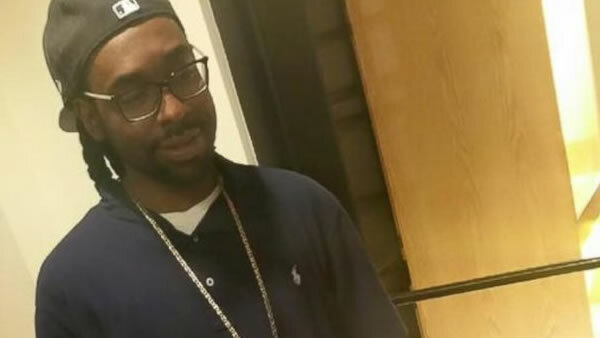 ST. PAUL, MN -- A Minnesota police officer has been charged with second-degree manslaughter in the killing of Philando Castile, a black man whose girlfriend streamed the gruesome aftermath of the fatal shooting live on Facebook, prosecutors announced Wednesday. St. Anthony police officer Jeronimo Yanez shot the 32-year-old during a July 6 traffic stop in the St. Paul suburb of Falcon Heights. Castile's girlfriend, Diamond Reynolds, was in the car along with her young daughter at the time. The woman said Castile was shot several times while reaching for his ID after telling Yanez he had a gun permit and was armed. Yanez's attorney, Tom Kelly, has said Yanez, who is Latino, was reacting to the presence of a gun, and that one reason Yanez pulled Castile over was because he thought he looked like a possible match for an armed robbery suspect. Choi's office has said a key question in his review was determining whether Yanez was justified in believing deadly force was necessary. The shooting prompted numerous protests, including a weekslong demonstration outside the governor's mansion and one protest that shut down Interstate 94 in St. Paul for hours. The interstate protest resulted in about 50 arrests and injuries to more than 20 officers, after police said they were hit with cement chunks, bottles, rocks and other objects. Other police shooting deaths also did not result in charges, including the killings of 12-year-old Tamir Rice in 2014 in Cleveland and 24-year-old Jamar Clark last year in Minneapolis. A grand jury determined the white officer who shot Tamir had no way of knowing whether the boy, who was drawing a pellet gun from his waistband, was trying to hand it over or show them it wasn't real. In the Clark case, prosecutors said the two white officers involved in the shooting feared for their lives when Clark tried to grab an officer's weapon during a struggle.